Heat oven to 400°F. 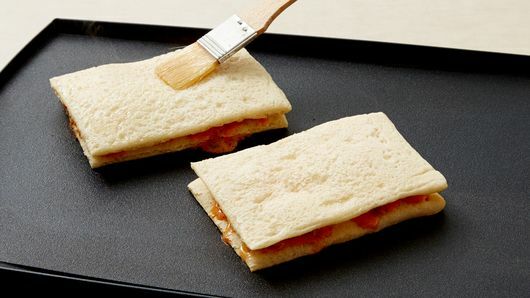 Spray large cookie sheet with Crisco® Original No-Stick Cooking Spray. 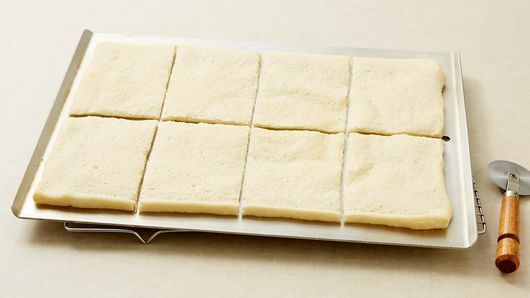 Unroll dough on cookie sheet; press to form 16x11-inch rectangle. Bake 6 minutes. Meanwhile, in small bowl, mix bruschetta and mascarpone cheese until well blended; set aside. Heat griddle or 12-inch skillet over medium-low heat (325°F). With pizza cutter or sharp knife, cut pizza crust into 4 rows by 2 rows to make 8 (5 1/2x4-inch) rectangles. 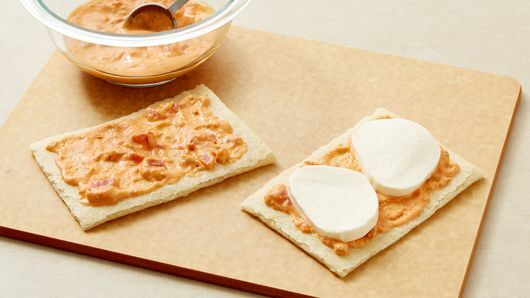 To assemble sandwiches, spread 1 tablespoon bruschetta mixture to within 1/4 inch from edges on each pizza crust rectangle. 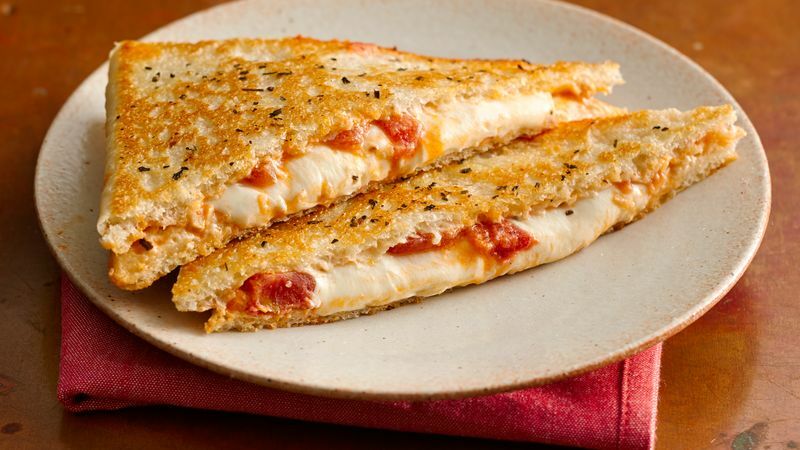 Top 4 rectangles with 2 slices mozzarella cheese. Top with remaining pizza crust rectangles bruschetta mixture side down. Brush 1 1/2 teaspoons of the olive oil over tops of sandwiches; sprinkle with 1/2 teaspoon of the basil and 1/4 teaspoon of the garlic salt. Place sandwiches oil side down on hot griddle. Brush with remaining 1 1/2 teaspoons olive oil; sprinkle with remaining 1/2 teaspoon basil and remaining 1/4 teaspoon garlic salt. Cook uncovered 2 to 3 minutes or until bottoms are golden brown. Turn; cook 2 to 3 minutes longer or until bottoms are golden brown and sandwiches are heated through.